We’re putting sustainable, locally-sourced fish and chips at the top of our menu. Our aim is to serve you environmentally friendly food, right from the sea to your fork. All our fish are caught in the North Sea from stocks which are fully sustainable according to the Marine Conservation Society. 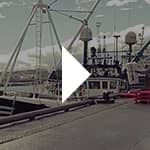 We were the first fish and chip shop in the UK to gain Marine Stewardship Council Chain of Custody to sell Scottish North Sea haddock on our menu. Our specials board always shows the Catch of the Day, where we choose the freshest in-season fish straight from the market that morning. All our fish are caught in the wild, but sometimes might be marked with (F) to let you know they’re from sustainable farmed sources. As more fish become certified by the MSC we’ll start including them on our menu too. Local and sustainable fish is at the heart of everything we do. It’s all about being responsible. 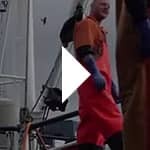 By serving MSC fish and following MSC guidelines we’re doing what we can to spread our message – that sustainably sourced fish is the only way forward. 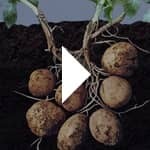 We use two main varieties of potatoes at The Bay; Maris Piper and Markies, both sourced from the finest local seed and grown in the potato-friendly soil of Cambridgeshire. This helps us to serve up our famous Bay chips year in, year out, with the same delicious results. We chip all our potatoes in our very own kitchen for a fresh chip every time. We only ever cook using high oleic sunflower oil – the best of the best when it comes to oil. It’s not only low in saturated fat, but it contains no nasty additives either – perfect for us! We also use a thicker cut chip to help reduce the amount of oil absorbed. We think all this makes a tastier chip, and hope you do too. All you need to do is add a touch of salt and vinegar. We’re incredibly proud to say that we won Best New Foodservice Product at the prestigious North East Scotland Food & Drink Awards for our bespoke The Bay Fishcakes. Our MSC Chain of Custody number is MSC-C-53712 which ensures all our haddock are caught from sustainable, traceable sources. 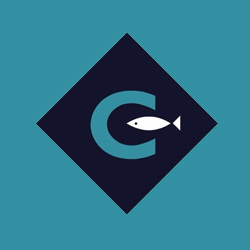 Our fish supplier, Coupers Seafoods, has full MSC certification, and all our fish are sourced according to the MSC guide, to make sure we only serve sustainable, in-season fish on our menu. 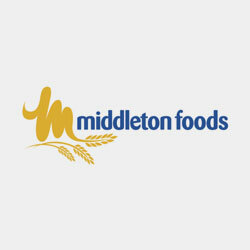 Our potatoes are sourced locally from William Fraser potato merchants, Potterton. We like to showcase the best local produce so we source all our ingredients close to home. There’s no better feeling than knowing you’re serving up food that’s grown and produced right on your doorstep. 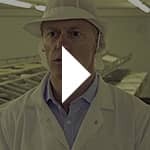 Coupers specialises in top quality certified sustainable fish, and is run by three generations of the Couper family based in Aberdeen. 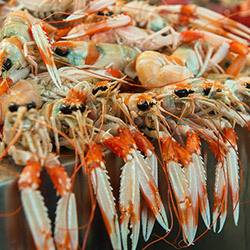 The Bay and Coupers work together to serve the freshest local fish all year round. 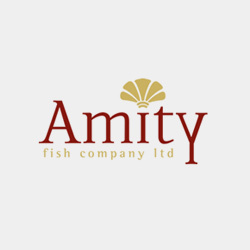 Amity Scampi focuses on responsible, sustainable fishing, making them a perfect fit with The Bay. 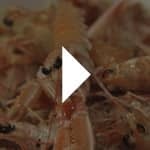 They place importance on the provenance of their scampi, giving peace of mind with every bite. 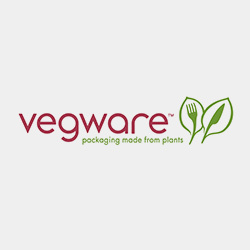 Vegware is the UK’s first and only completely compostable foodservice packaging company, supplying us with fully recyclable packaging. 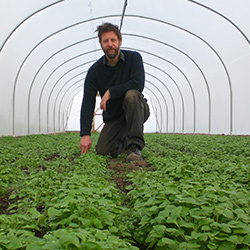 Lembas Organic are producers and distributors of organic produce based in Stonehaven, supplying all of our lettuce and salad vegetables. 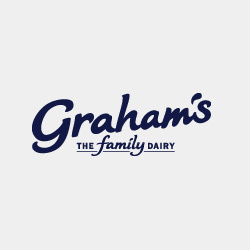 Graham’s Family Dairy is a farm and dairy now run by the founder’s son and grandchildren, producing a range of organic milks, butters, creams, and ice-creams. 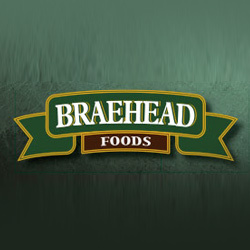 Braehead Foods are a wholesaler and game processor supplying the best chefs in the industry with the highest quality ingredients. Our prized langoustines and squid are both sourced from Harvester, located just down the coast in the nearby town of Gourdon. We locally source our rapeseed oil for cooking on the griddle from Macintosh based in Peterhead. 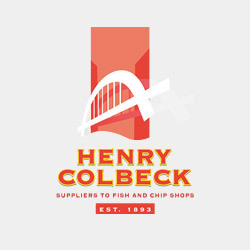 Henry Colbeck is the oldest independent supplier of fish and chip shop frying ingredients, and where we source many of our oils from. 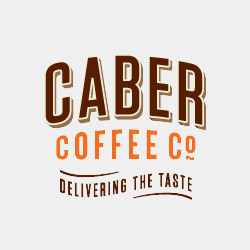 Caber Coffee are a family-run business who supply our fairtrade and organic triple-certified coffee beans. 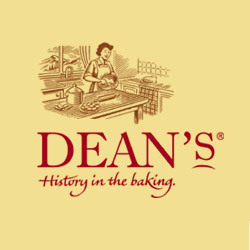 No Scottish fish and chip shop would be complete without shortbread, so we get ours from Dean’s, based locally in Aberdeenshire. 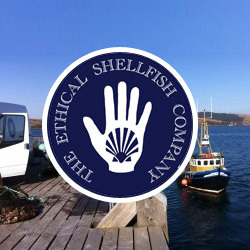 The Ethical Shellfish Company is a family-run business from the Isle of Mull, with a mission to bring delicious hand-dived scallops straight to your plate. 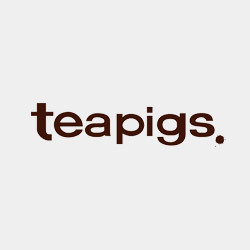 Teapigs believe in just fine tea, so they source their ingredients ethically and create delicious flavours for a great cup of tea. 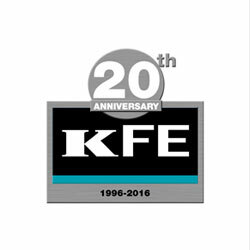 KFE is a family business supplying the highest quality frying ranges, after sales service and The School of Frying Excellence. The company of choice for Award Winning Fish and Chip Shops. 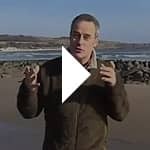 Aberdeenshire based producer of fresh chillies and heritage tomatoes, grown using green energy! Producing sauces, relishes and hot sauce, all made by hand. 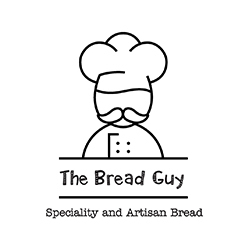 We serve freshly baked bread from our bread supplier, The Bread Guy who make all their speciality and Artisan bread from the finest ingredients that they source locally in the North East of Scotland. 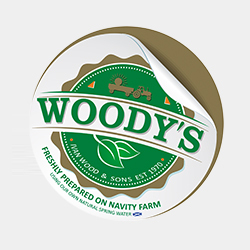 Our potato supplier is the award-winning and environmentally committed supplier Woody’s Chips. Chosen for their 100% real chips that are washed in organic spring water and freshly prepared in Navity Farm, Fife. 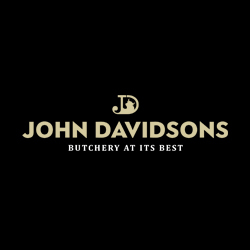 John Davidsons is our award-winning butcher. 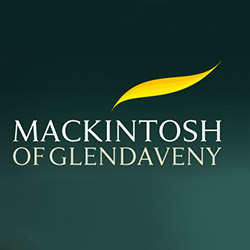 Using time honoured, traditional butchery techniques for their top quality meat as well as specialist Dry-Aging methods, this fine meat selection ensures a gourmet standard and a delicious taste, time after time. Ever wanted to take home a taste of The Bay? With our award-winning, bespoke batter you can enjoy our great-tasting flavour anytime you like, wherever you fancy. The beautiful view from our shop reminds us why we care so much about our local environment. From the renewable energy powering our lightbulbs to the fish we fry in our high-efficiency range and the paint on our walls, we’re proud to say we’re carbon neutral and working hard to stay that way.